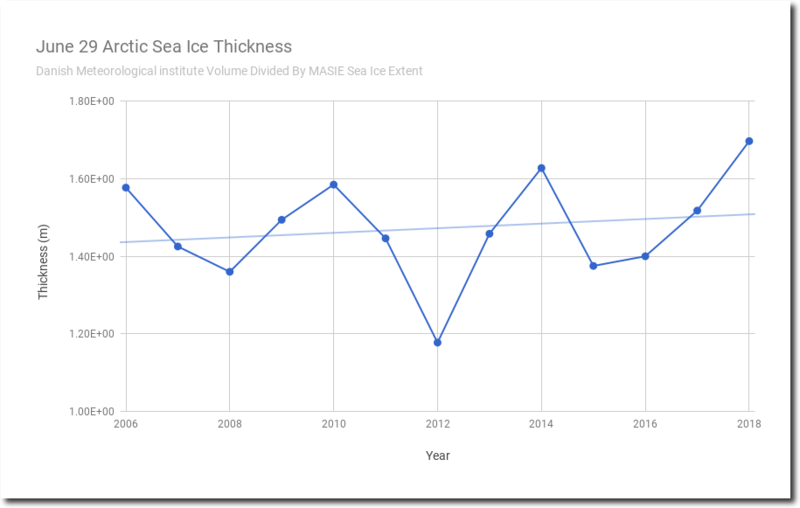 Arctic sea ice thickness has been increasing for the past twelve years, and is up 44% since 2012. I calculated this by dividing DMI volume by MASIE extent. (The MASIE records only go back to 2006.). 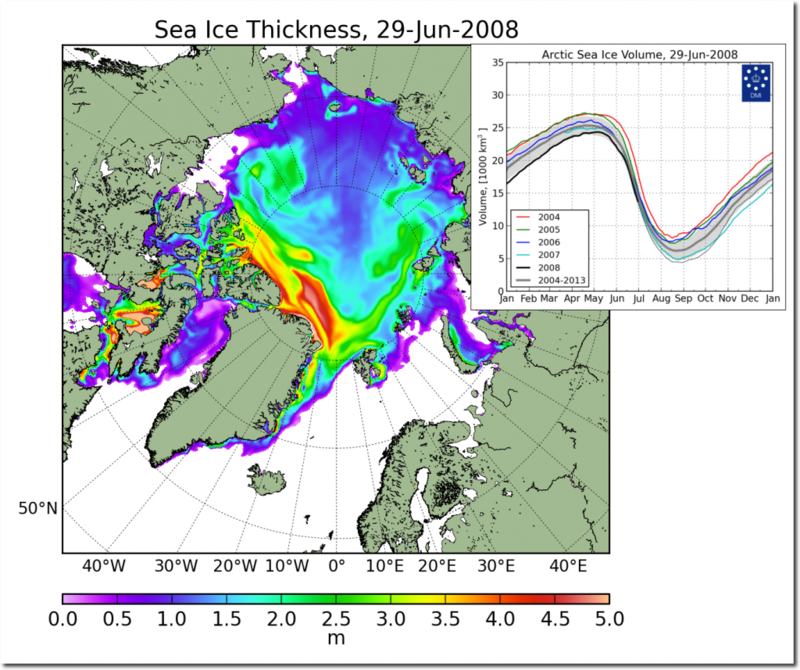 The Arctic Basin is covered with thick ice. 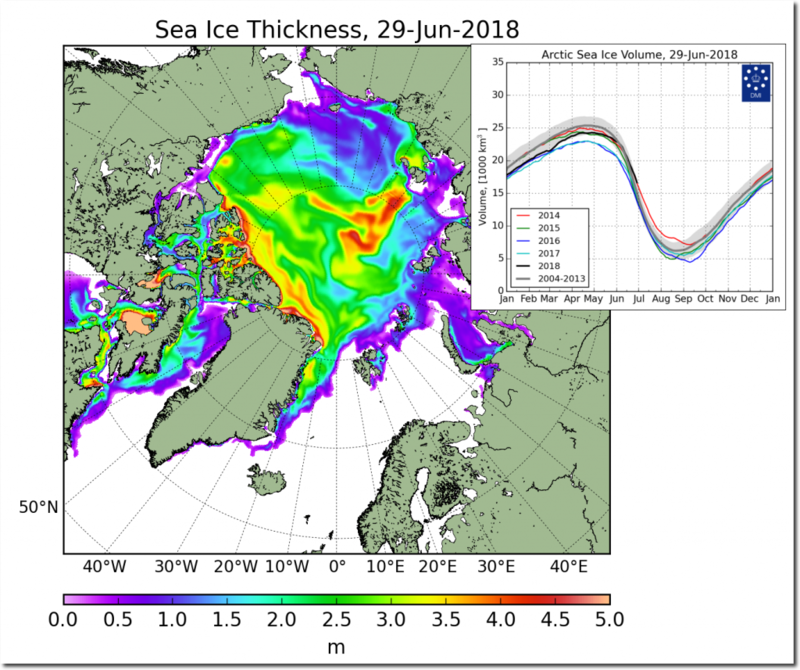 This is a change from ten years ago, when much of the Arctic was covered with thin ice. According to this New York Times article from 1958, Central Arctic ice thickness is about the same as it was 60 years ago. Yesterday, the fake news New York Times and Mark Serreze quite predictably conflated Arctic sea ice thickness with extent, and declared their Arctic melting scam to still be alive. 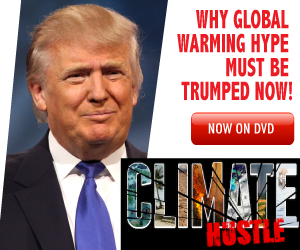 Apparently no one at the New York Times actually reads the New York Times. 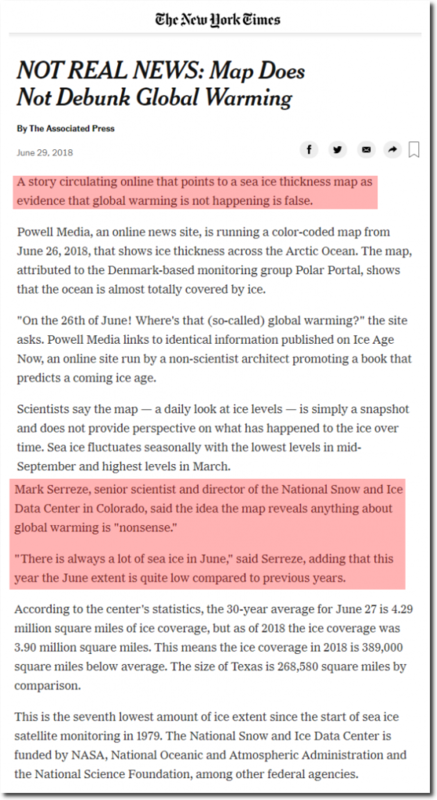 That is the same Mark Serreze who predicted the North Pole would be ice-free ten years ago, and declared the Arctic to be screaming. 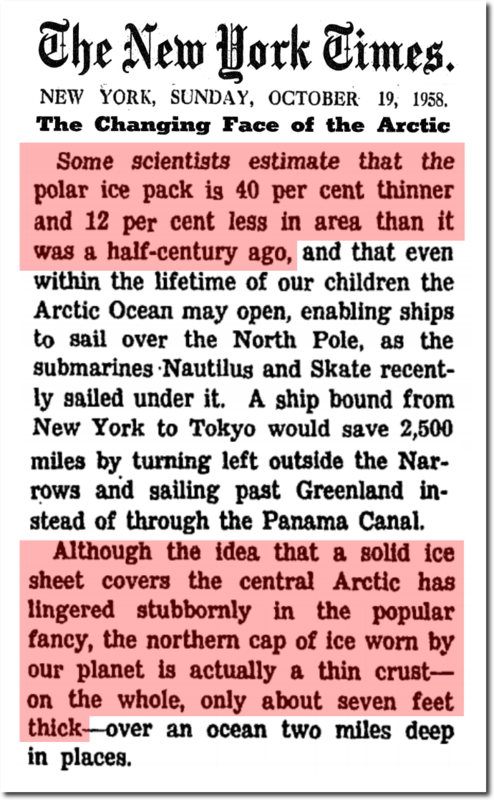 My forecast that NSIDC would rapidly ramp up the junk science and BS, is coming true however.